The Springfield Uprising Men's Group is holding an Open Men's Group from 6:30 until 9:00 pm in West Springfield, MA. Please bring these directions with you! Many men have not found the place easily. The group meets in the ground floor of the A to Z Moving building (owned by a member of the group), which is directly across the street from 261 Union Street, which is "Crepes Tea House". Park on the opposite side of the street from the Tea house, and in between Charlie's Diner (50's style silver and red diner) and A to Z Moving. The entrance door to the A to Z Moving building is at the front (Northeast) corner of the building near the street. The door will have a white flag and sign on it. A Garmin GPS unit correctly got to the 261 Union Street address. Why Personal Mastery? Many of us figured out what it means to be a man by piecing together unclear messages from the culture and from men in our lives who often seemed as confused and lost as we felt. Some of the messages we got about being a man may have seemed to work for a while ... but now they seem to be doing us more harm than good! Ever wondered if there were another way? Ever felt that you had some work to do on yourself, but you just didn't know who to ask? What if there were a place to resolve internal conflicts, learn skills to help drive your success in relationships, in business, in LIFE? What if there were a group of men in your life who you could trust enough to let down your guard and tell the truth? What if your skills, insights and wisdom about life could be put to use in helping other men become more successful? Set a goal for Personal MASTERY. See what happens! The Open Men's group is a place to find Clarity and Connection, a place to Pursue Mastery of what it means to be a mature man in a this era of uncertainty. We focus on building Emotional Integrity and promoting Radical Personal Responsibility - by challenging and deeply supporting one another to be everything we were born to be. FREE. Open to any man. The men who facilitate this group care deeply about making our communities safer, more open and more resilient. Any man willing to follow some simple ground rules is welcome. I have had several men ask me - what is this is all about ? what do you do? We sit in a circle on chairs. We talk to each other about what's going on in our lives. We listen to one another. We do not shame or criticize. We use exercises that you can learn to use in your life to help you be more connected, more awake, better able to navigate the difficulties in your life. We form a community of men that are here for one another in a way that few men get to experience these days. A men's group is a place to figure out what you want in your life, take steps to make it happen and continually look at what is getting in the way of being fully alive and empowered. Do you want better relationships with family, friends, co-workers? Do you want to learn how to better handle situations that stump you over and over? Do you want to break out of a rut that you have been living in for years? Do you want to sit with men actively working to make the world a better place? Do you want to discover what being a man is all about ... FOR YOU? Do you instinctively NOT trust men (or women or yourself)? You learned this somewhere. Not only is it bad for your physical health, but it is probably preventing you from living fully. Join us! Support yourself! The ManKind Project is a world-wide community of men. We are not for profit and not associated with a religious practice or political party. Your beliefs are welcome. Learn more about men's work, the ManKind Project (http://mankindproject.org) and the New Warrior Training Adventure. The Springfield Uprising Men's Group is holding an Open Men's Group from 6:30 until 9:00 pm at 380 Union Street, West Springfield, MA. Why Personal Mastery? Many of us figured out what it means to be a man by piecing together unclear messages from the culture and from men in our lives who often seemed as confused and lost as we felt. Some of the messages we got about being a man may have seemed to work for a while ... but now they seem to be doing us more harm than good! Ever wondered if there were another way? Ever felt that you had some work to do on yourself, but you just didn't know who to ask? What if there were a place to resolve internal conflicts, learn skills to help drive your success in relationships, in business, in LIFE? What if there were a group of men in your life who you could trust enough to let down your guard and tell the truth? What if your skills, insights and wisdom about life could be put to use in helping other men become more successful? Set a goal for Personal MASTERY. See what happens! 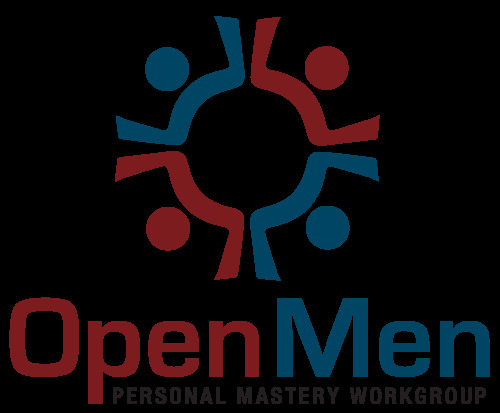 The Open Men's group is a place to find Clarity and Connection, a place to Pursue Mastery of what it means to be a mature man in a this era of uncertainty. We focus on building Emotional Integrity and promoting Radical Personal Responsibility - by challenging and deeply supporting one another to be everything we were born to be. FREE. Open to any man. The men who facilitate this group care deeply about making our communities safer, more open and more resilient. Any man willing to follow some simple ground rules is welcome. I have had several men ask me - what is this is all about ? what do you do? We sit in a circle on chairs. We talk to each other about what's going on in our lives. We listen to one another. We do not shame or criticize. We use exercises that you can learn to use in your life to help you be more connected, more awake, better able to navigate the difficulties in your life. We form a community of men that are here for one another in a way that few men get to experience these days. A men's group is a place to figure out what you want in your life, take steps to make it happen and continually look at what is getting in the way of being fully alive and empowered. Do you want better relationships with family, friends, co-workers? Do you want to learn how to better handle situations that stump you over and over? Do you want to break out of a rut that you have been living in for years? Do you want to sit with men actively working to make the world a better place? Do you want to discover what being a man is all about ... FOR YOU? Do you instinctively NOT trust men (or women or yourself)? You learned this somewhere. Not only is it bad for your physical health, but it is probably preventing you from living fully. Join us! Support yourself! The ManKind Project is a world-wide community of men. We are not for profit and non-religious. Learn more about men's work, the ManKind Project (http://mankindproject.org) and the New Warrior Training Adventure.